A couple weeks ago I helped my aunt with her conference at McCormick Place. The grand terraces to the east of the building offer terrific views of Lake Michigan, Burnham Park Harbor and Northerly Island Park. Check out the local North Side blog A-Ville Daily, Life in Andersonville. Our family has lived in Ravenswood between Andersonville and Lincoln Square over the past 10 years. A-Ville Daily is the best source we have seen for the everyday action in Andersonville. Great stuff! Our survey of home prices in top rated and "buzz" elementary schools on the North Side continues this week with Northcenter's John C. Coonley School. 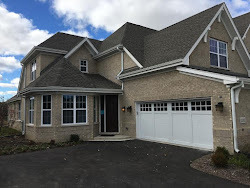 About 51 homes sold over the last 12 months in Coonley School district compared to 20 in Bell School District. The median price was about $700,000. 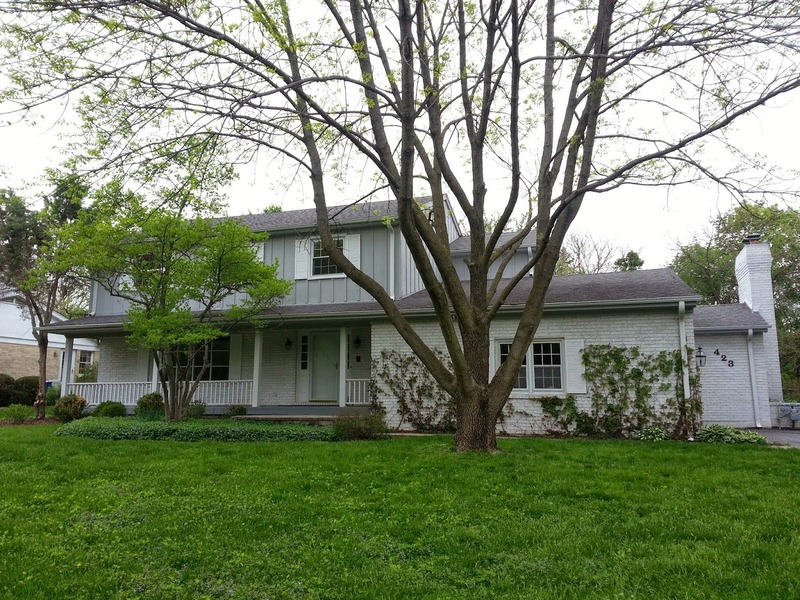 The highest sale was $1,525,000 and the lowest sale was $167,000 (a foreclosure on Western Ave). Buyers have had much more opportunity to buy in Coonley as the housing stock provides cheaper fixer-up options than the long established and sought after Bell school. This will dry up in the near future and the price gap with Bell will close. The buzz around Coonley School has been deafening in the real estate community since the school established a Regional Gifted Center in the fall of 2008. It's one of the few districts where we've seen a couple homes bought after 2008 and re-sell this year for MORE than the seller paid without additional renovations. As the buzz has caught on over the last couple years, home buyers with kids have snatched up houses in the district. The school scores very high in achievement categories and continues to win grants and donations. This included a higher number of tear-down homes, houses on Western Ave and homes needing complete renovation than you'd see in Alexander Graham Bell Elementary School district. 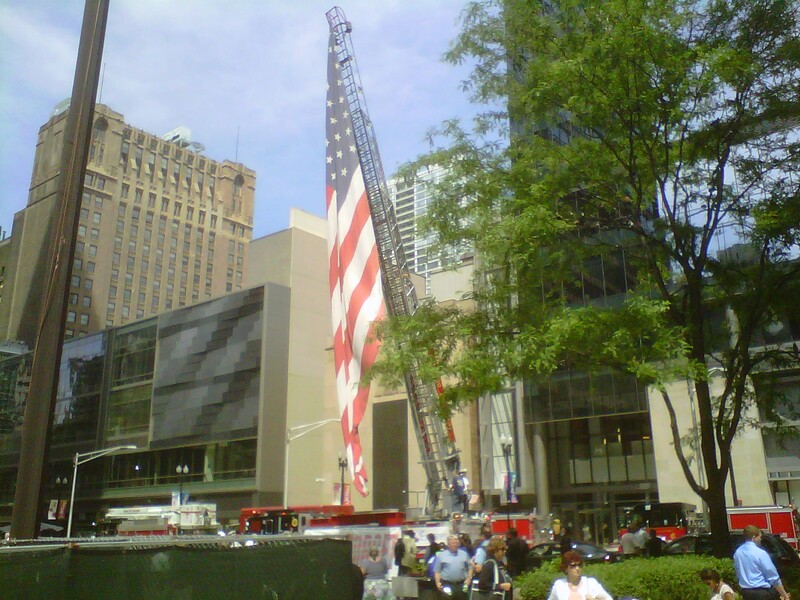 Check out our recent post on Bell School prices HERE or read about Northcenter HERE! More great doors! I snapped this quick shot on North Lincoln Ave. No matter how many times I pass these homes I always stop and enjoy the site. 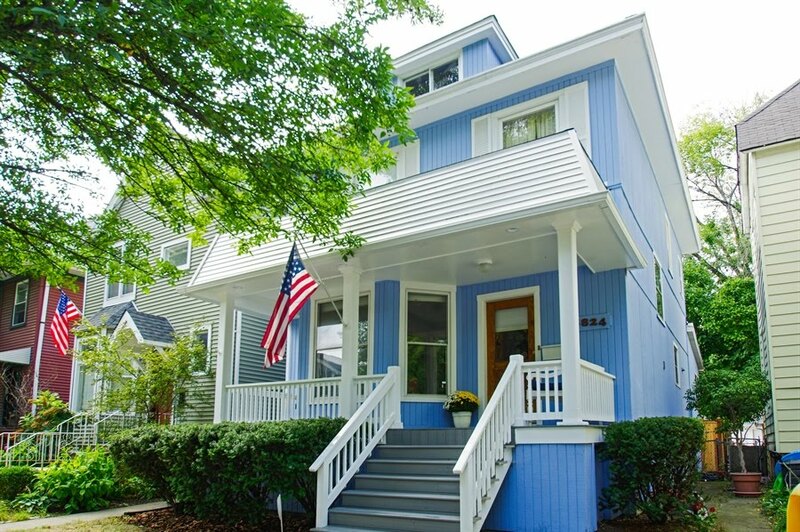 Lincoln Park vintage row homes are desirable for their curb appeal and location. These two entryways shown sit wear Lincoln Ave. meets Wells...one of the more sought after LP locations adjacent to Lake Michigan. The door to the right is actually an attractive deeper blue but came out a little "teal" in this photo. Either way they're inviting! 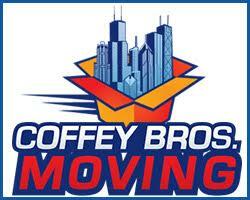 Our clients look for single family homes in the best rated and "top buzz" school districts in Chicago. One of the most requested school districts we get is Alexander Graham Bell Elementary. 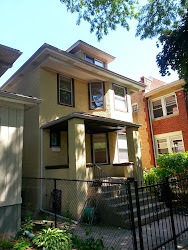 About 20 homes sold in Northcenter's Bell school district over the last 12 months. The highest closing was $1,690,000. The lowest was $315,000. Bell has long been a sought after Chicago elementary school. The home prices in the district remain much higher than nearby attendance boundary schools. To find a home in Bell school or other North Side school districts, please contact us. For more Northcenter posts and videos click here! 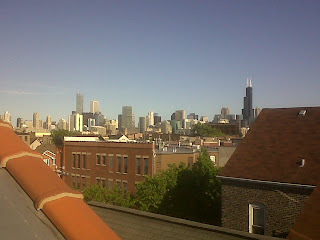 Here's a quick view looking southeast from a common roof deck in Lincoln Park. The two beds, two baths condo on North Orchard Street was listed at $299,900...no parking. Our first-time buyer client took a pass on the odd layout of the unit and bought a unit with garage parking on West Schubert Avenue. The two beds one bath condo included a private outdoor deck with tree-lined views. The weather this weekend looks like it is changing for the better. 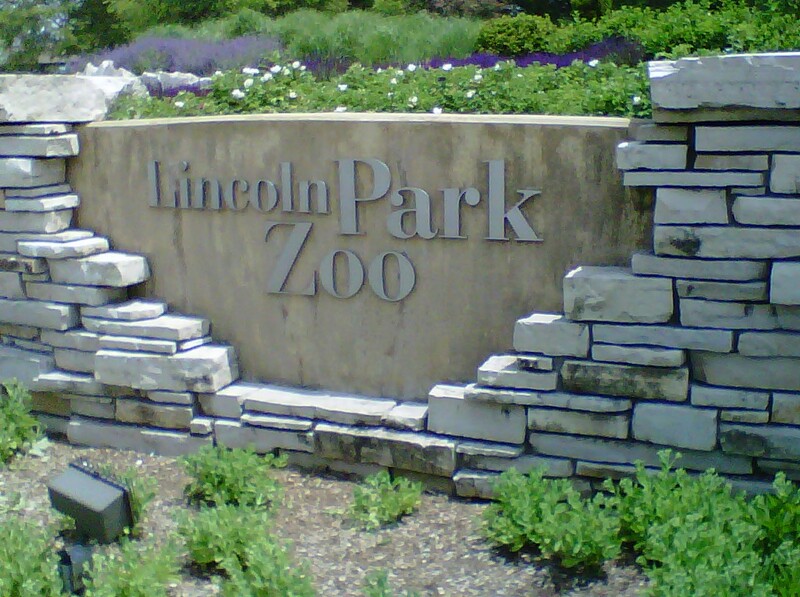 Escape the Taste of Chicago and check out Lincoln Park Zoo for some cheap fun. Check out the newer Nature Boardwalk and become a member while you are there! 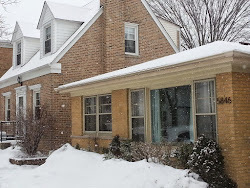 27 single family homes closed the first 6 months of 2011 in the Lincoln Square Community Area. The median price was about $450,000. Homes located both east of North Western Avenue and south of West Foster Avenue sold for much higher than those further northwest. In 2010 same period, 27 homes also closed but the median price was a much higher $540,000. 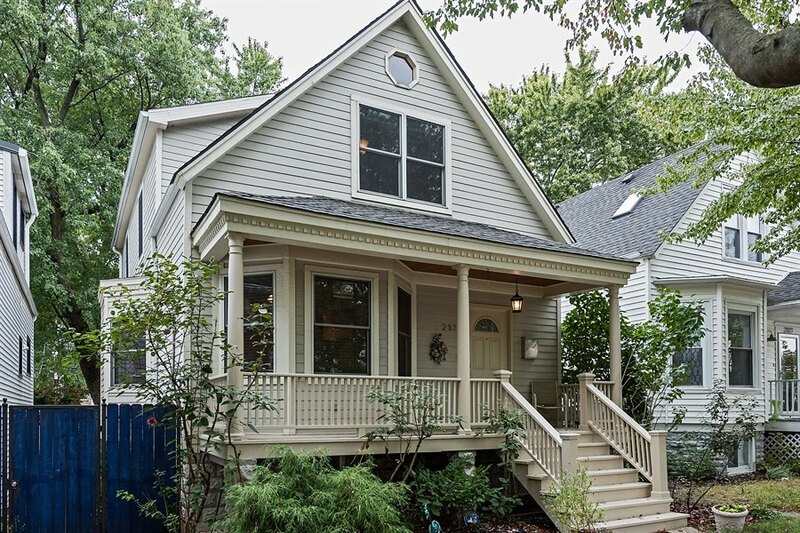 2011 highest closing was $1,675,000 and the lowest closed house was $100,000 (a tear-down on Western Avenue). 2010 highest closing was $1,301,000 and the lowest closed house was $175,000 for a tear down. West Town's Wicker Park and it's West Division Street shopping, art, music, dining and nightlife scene offers the urban environment that attracts people to city living. Condo sales tend to be very dynamic and vary in price and style. How did Wicker Park condo sales fair in 2011 so far compared to 2010? Is it beating the downward sales trend we are seeing from the national and local numbers released for April and May? 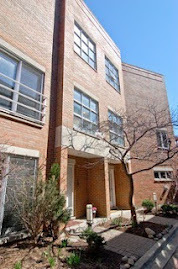 In the first 6 months of 2011, the Wicker Park neighborhood had 79 recorded condo sales in our MLS (MREDLLC.com). The median price was about $370,000. That's down 15% from the 93 closed condo units for the same period 2010. The median for 2010 was about $385,000. 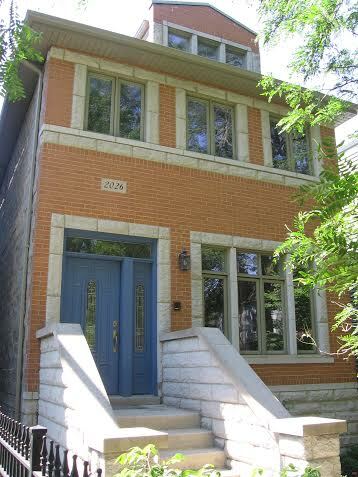 The highest condo sale so far in 2011 was $716,000 for a new construction penthouse condo at 2028 W Division. The lowest sale of 2011 was $10,000 (!) for a bombed-out shelter of busted new construction at 2322 W Augusta. 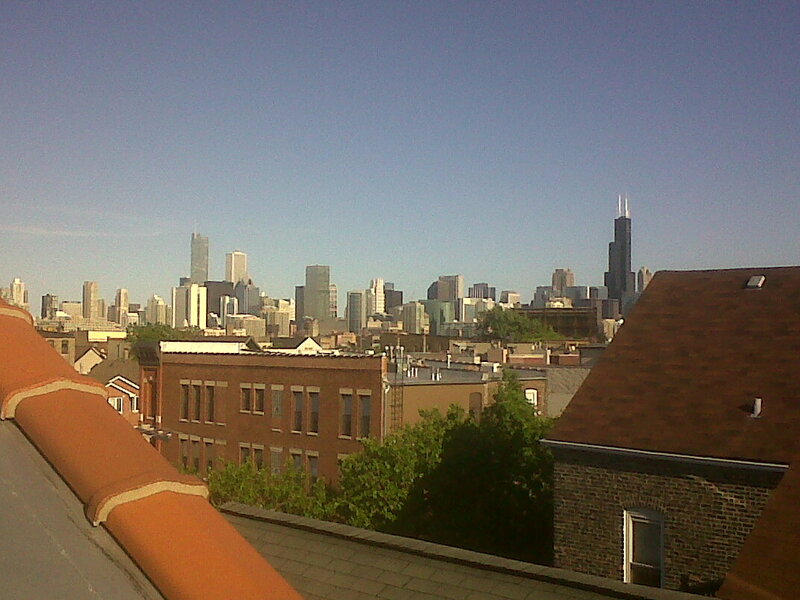 Buy a condo with a rooftop deck in Wicker Park cheaper today than last year. The subject area for these sales statistics is 900 North to 1500 North and 1600 West to 2400 West (official Wicker Park boundaries stretched 3 blocks south for the sample and reflects the inquiries we get for Wicker Park and those that desire to live near Division). More Wicker Park posts HERE! 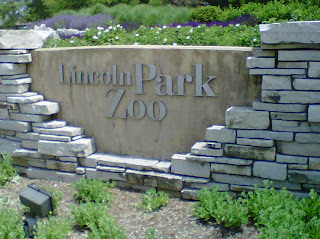 We live, work and play in Chicago neighborhoods that start with "Lincoln". For great neighborhood and event information, start with the Chamber of Commerce websites. These Chicago communities offer a ridiculous amount of great family (and date night) activities at your doorstep! 2555 W Catalpa 2B is a Lincoln Square two bedrooms, two baths condo with a great layout and solid building offered at $219,000. Enjoy all your Lincoln Square favorites such as Maifest, Oktoberfest, Farmers Markets, parks, entertainment, wine tastings, summer concerts...FOR LESS! 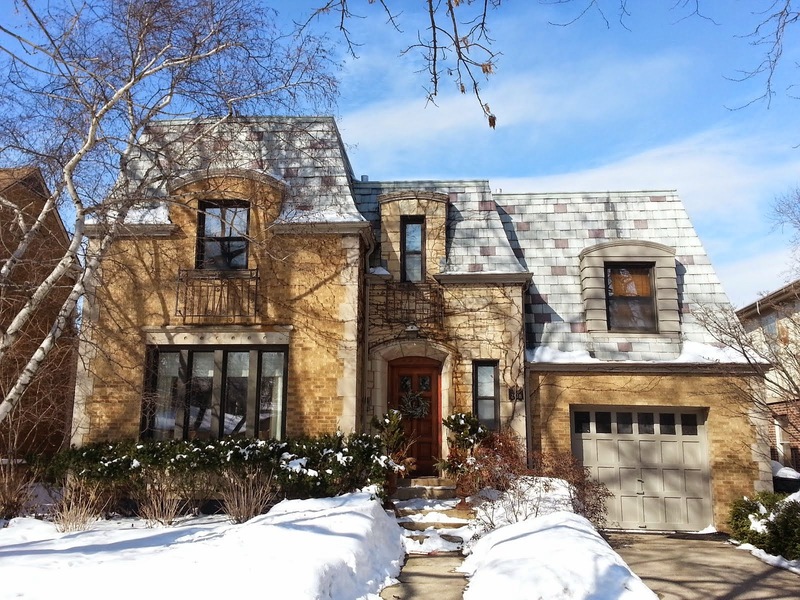 2555 W Catalpa 2B is on a quiet block just 5 blocks north from the Heart of Lincoln Square entertainment. It is situated in the Budlong Woods enclave near Legion and River parks for walking, biking, playground, pools and much more. Plenty of local grocery options and amenities within a couple blocks! View More Property Information HERE! We've increased our sales volume over first half 2010 by offering the best path to a sale or purchase. 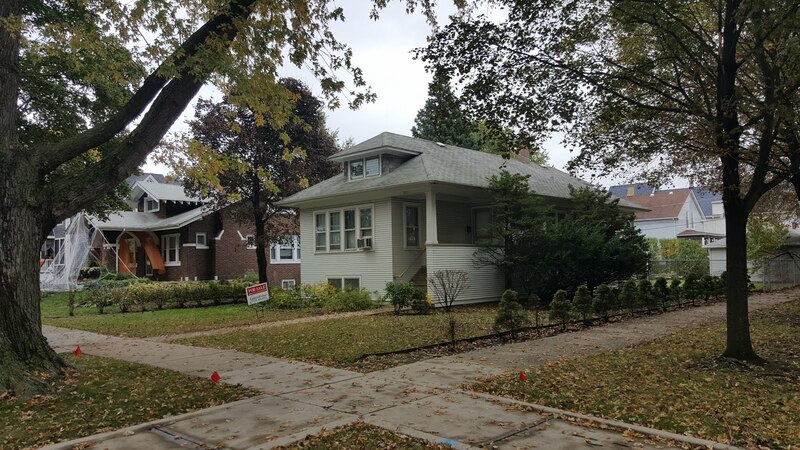 We listed for sale 5137 N Oakley in Lincoln Square's Ravenswood neighborhood for sale at $469,000 and had a solid contract in just over two weeks. 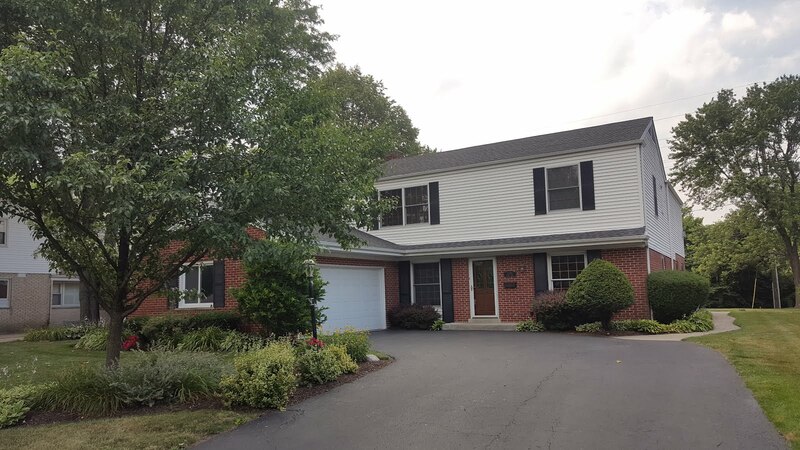 The owners presented the house in it's best light and priced for this market. We had great activity and carefully chose the right offer. If you are buying or selling a home, contact us. We provide our private client list professional consultation to help make the best decisions moving forward...buy, sell, hold, renovate or rent. 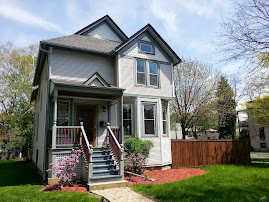 Watch the video tour of 5137 N Oakley..."the one that got away!" Location and access to upscale urban lifestyle are the lure of the Gold Coast. This is matched by the significant entryways of the area homes. A first class residence has an aesthetic and statement that cannot be denied. Here are examples of gracious entrances along North State Parkway in Chicago's Gold Coast. Between downtown appointments this weekend, Bob took a quick mobile shot of the long lines at the new Chick-fil-A that opened on June 16th. 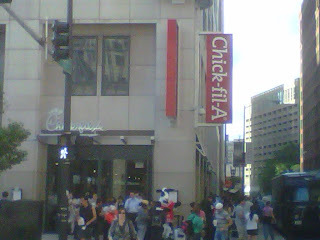 The downtown location is at Chicago and Wabash. We'll take a pass when looking for downtown eats, but we wish them luck! Award winning Chappell Elemetary School celebrates last day of Pre-K! The Chappell preschool classes rock out to the Beatles while the parents go wild! We enjoyed a fantastic year at Chappell Elementary's Preschool program in the Ravenswood neighborhood of Lincoln Square. Ms. Esmaili and Mr. Newman's Pre-K classes were a joy and the kids really grew over the year. Our son was in Ms. Esmaili's and Mrs. Monica's class and will be back at Chappell in the fall. Kids and parents received a portfolio of the kids' work through the year! Way to go Ryne! Make Chappell your neighborhood school. At the time of this writing, the preschool had a waiting list. Contact the school for all registration needs for all grades this fall now! Lefty Doug Davis starts against the New York Yankees today at Wrigley Field (Photo Eric Rojas, Realtor. All photos on The Chicago Real Estate Local are taken by Eric Rojas and Bob DePalma unless otherwise noted). Sure, there are tons of fests and activities going on this weekend...but none greater than the Cubs hosting the New York Yankees for a three game set. Today's game is at 1:20PM. Saturday's game looks to be threatened by weather. Sunday's 7:00PM game is the ESPN Sunday Night Baseball feature which always has great production and fanfare. Watching the game at a pub around Wrigley is a great way to experience game day if you don't have tickets. We like to hit one of the smaller places just off the Clark Street madness or even Yak-Zies (on Clark) just North of the park has the right kind of laid back, open air viewing during the game. There is no other city that compares to Wrigleyville's neighborhood atmosphere on game day. If you like the big bars, you can try Harry Caray's on Sheffield or any of the the huge open air bars along North Clark Street. I took this photo this morning of the well kept courtyard at 1030 W Wrightwood before attending the final walk-through of our listing. 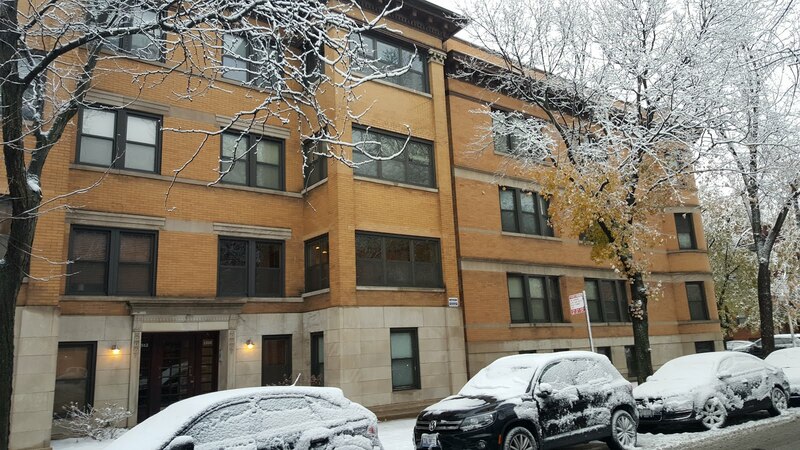 We just closed another Lincoln Park town house listing earlier today at 1030 W Wrightwood Unit I while our clients and their growing family are off to their next house. Town houses are a category of attached housing to imply there are no above or below units to the subject unit. They can be fee simple with no assessments or part of a condo association with assessments. How have Lincoln Park town house sales fared this year? 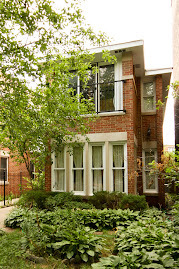 Lincoln Park saw 45 closed town houses in the first 6 months of 2011. This is down from 83 closed units (-46%) same period 2010. The median price was $550,000 on the nose with the highest sale at $1,005,000 and the lowest sale at $325,000. Interestingly, the median was also $550,000 same period 2010. The hopes of economic recovery and the buzz surrounding the Federal First Time Buyer's credit fueled the almost double sales of first-half 2010. However, with the median price the same at $550,000, more higher-end buyers bought units despite being less influenced by the credit. It is widely observed (in our opinion) that the lower-end, under $400K buyers, were highly influenced by the $8,000 credit and $500,000 less so. In 2011, it appears both lower and higher end town house buyers in Lincoln Park are sitting it out. We can see the logic of lower-end sitting out without the first time buyer credit. But it also means the higher-end buyers with similar or more favorable mortgage options than 2010 have bought less this year. With 123 active town house listings in Lincoln Park at this writing, we don't believe the difference in sales has been due to inventory offered. Once and awhile Bob and I indulge in some of the many reasons folks love living in Chicago. 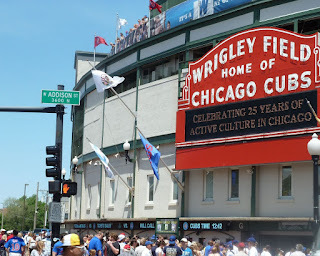 We are big baseball fans, so the ability to easily walk, ride a bike or take public transportation to one of the nation's most iconic sporting spectacles-Wrigleyville on game day- is city living! Not to mention we can get a lot of work done before and after a day game and not have long commute times. 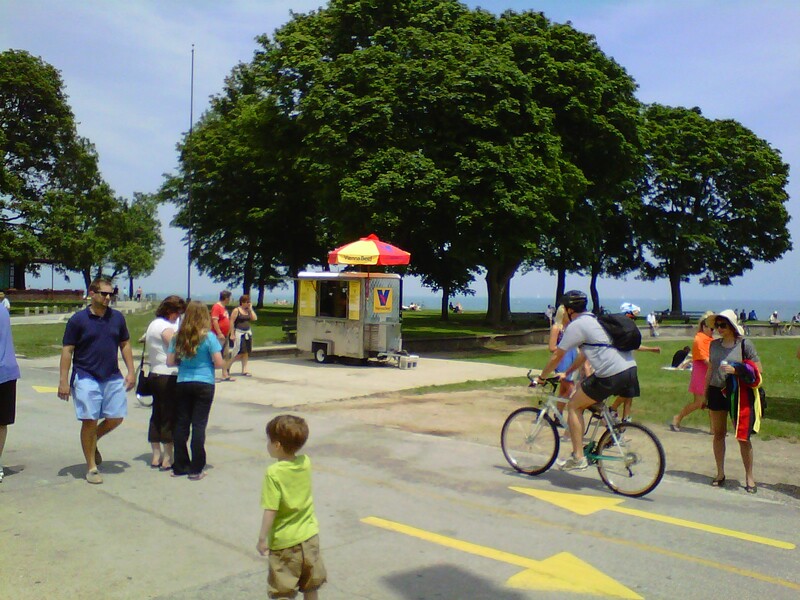 On this day, Bob was at our Lincoln Park office early in the day and took a quick bus down to the park at 12:30PM. I finished up appointments further north and and rode my bike from Lincoln Square's Ravenswood neighborhood to the Cub's free bike check on North Clark Street and West Waveland. We were out of the game by 4:00PM and off to our evening real estate showings! We caught a glimpse of the "Direct TV" blimp headed to Wrigley Field (we presume) via the Gold Coast earlier this evening. 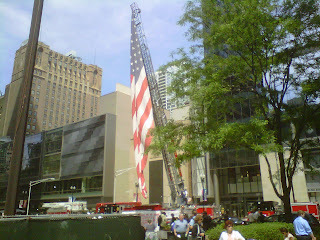 Bob caught this great site while working on closings downtown... the Patriot Flag on tour was raised in Daley Plaza Chicago today. The Halsted bridge at Division has been down for repairs... it hampers cutting across the City's North to Near North Sides. Bob and I pride ourselves on being ON TIME to our various appointments that stretch all hours of the day. 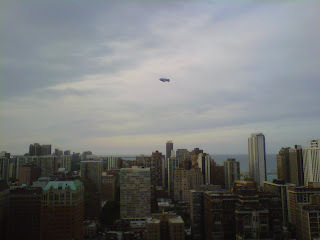 You have to look ahead at fest and construction traffic, Cub games, 100 year snow storms, you know, normal Chicago stuff. Here's a couple shots from Division Street in Wicker Park while we've been showing our listings. West Town's "Do Division" was a couple weeks ago and we are headed into a whole summer of outdoor dining, fests, concerts and art shows! 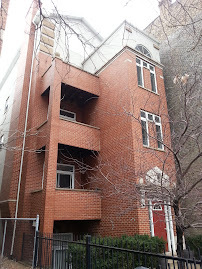 Our duplex condo for sale at 1250 W Wolcott #1 is tucked away one block from the heart of Division Street action! Start the party on your 20x20 private deck, then walk over to Wicker Park bars, restaurants and live music clubs. Park your car in your garage spot and leave it! Cafe dining outside your door.